Update it when you want. Most aspects of the meter are configurable. 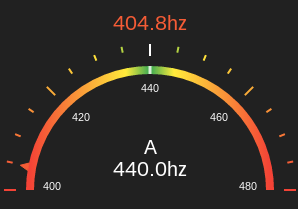 The defaults are for a guitar tuner and look like this. 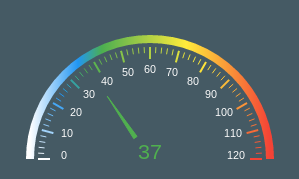 Here's the skin for the speedometer example. Any properties not mentioned here are picked up from the default.